I would never implicitly state that one should or shouldn't wear this or that, but there is one particular fashion faux pas that I'm extra persnickety about. Almost every day, I walk behind people who make a fundamental style mistake. It's not about what's in or out; it's about how to make the most of your hard-earned purchases. It's such a common and easy slip-up that I've even seen fashion editors do it. My pet peeve? When people neglect to undo the large stitch that crisscrosses on the back of your coat. You know, the funny little tacking threads that hold the back pleat or back vent together, right at the bottom? Those definitely, unequivocally, 100% need to be taken out before you wear your new outerwear. If you don't, the tailored silhouette doesn't sit right—the hem will instead heave and stretch to fit around the body, rather than just skimming in the most flattering way. Stores and designers have these stitches put into coats, jackets and occasionally fitted skirts in order for them to hold their shape on the shop floor and in transit, but the minute you want to wear it, you have to take them out. Ditto the fine, easily removable cross-stitching that is used to keep pockets closed. These are not permanent, and they will stop you from looking ultra-slick—also, a little extra give here and there is always welcome, especially in snug trousers or skirts. So, in celebration of never making this mistake again (perhaps you never did—bravo), why not shop some of our favourite outerwear and start again? This deserves a spot in your working wardrobe. 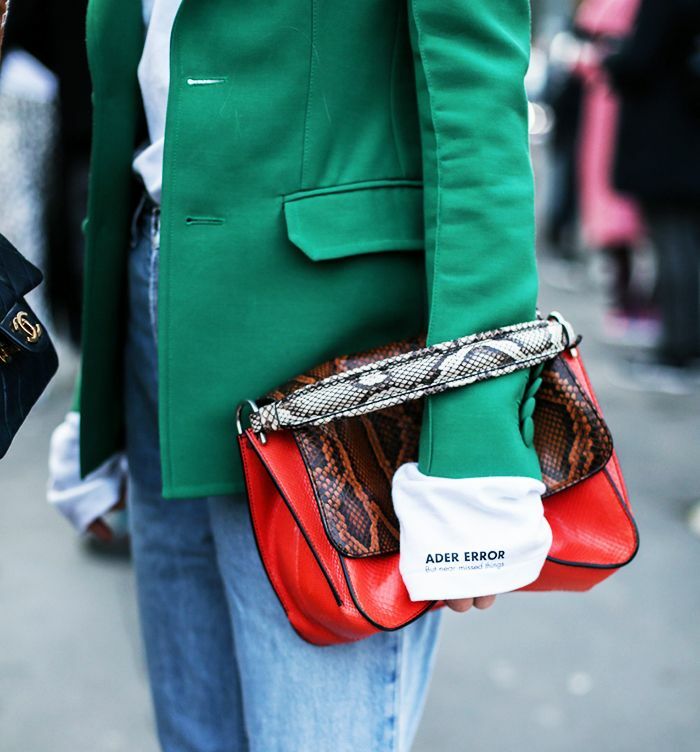 We've noticed this vibrant green is all over Zara right now. How clever: This folds up so you can easily carry it around. This could pass for £1000, not £125! Shop more of the best winter coats for the season. A red blazer will see you through wedding guest season. It's definitely rainy season, and it's time to pull out the trench coat.